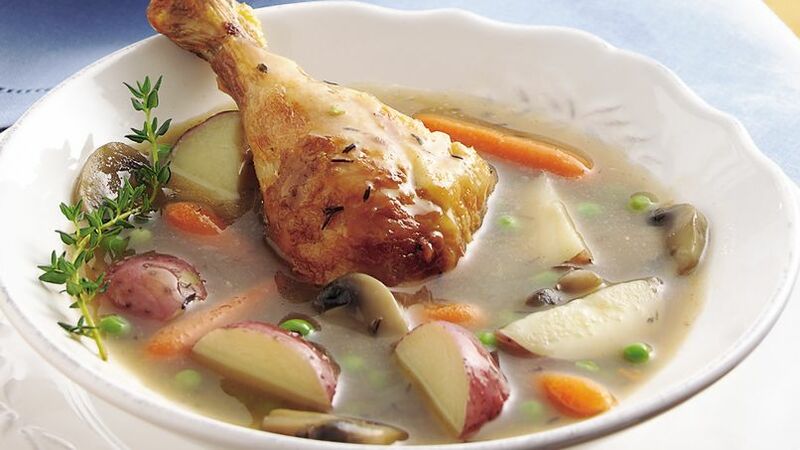 In 4-quart saucepan, mix all ingredients except peas and chicken. Heat to boiling over medium-high heat. Reduce heat to medium-low. Cover; simmer about 20 minutes or until vegetables are tender. Stir in peas and chicken. Cover; simmer about 5 minutes or until peas are tender. Add 2 tablespoons white wine for a quick Coq au Vin.